Our children are now a bit older and as we found out it’s much easier with our four year old and a two year old toddler than trying to take a baby. 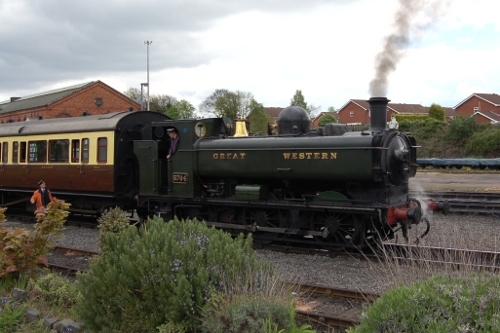 This is a review of a day out on the Severn Valley Railway travelling from Kidderminster station in Worcestershire to Bridgenorth station in Shropshire. 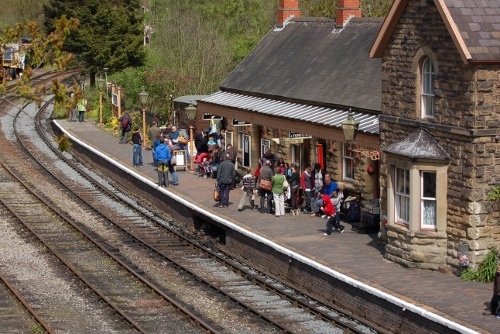 The tickets we purchased were full return tickets to Bridgenorth station which could be used as day rover tickets (allowing any number of journeys on the railway) and gave free entrance to the Engine House Visitor Centre (museum) at Highley Station. Although fairly expensive for the train journey, including the visitor centre into the cost of the ticket meant that the price wasn’t too badly priced. We got off the first train at Highley station which is where the Engine House Visitor Centre is located. We had got on one of the rear carriages and the conductor told use we would need to move further up the train as the platform is shorter at Highley station. We had a part of the carriage to ourselves so we waited until the station prior to the one we needed before moving up the train. We were able to move up the carriage whilst the train was stopped at Arley, although even if we hadn’t completely moved whilst it was stopped the train was smooth and it would have been possible to walk up the train whilst it was moving. At Bridgenorth we walked up hill to the town centre and had a look around a few shops. The hill is very steep and this is the one place where a pushchair would have been useful. I managed by carrying my son on my shoulders. Alternatively there is a Cliff railway, although I’ve not actually visited that. 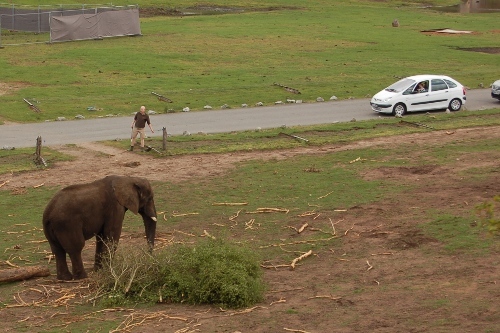 The railway goes through some great scenery including a glimpse of some of the animals in the West Midlands Safari Park. In our case we saw a glimpse of the new Armoured Indian Rhinos. The journey takes just over an hour from one end to the other, but it doesn’t feel it. This entry was posted on Saturday, May 22nd, 2010 and is filed under Babies, Children, General, Redditch Worcestershire, Tourism. You can follow any responses to this entry through the RSS 2.0 feed. Both comments and pings are currently closed.